Nothing beats a warm, genuine welcome when you enter a restaurant. Along with great food, it’s all about the experience and when a place manages to make you feel like a guest in their home you know they’re onto a good thing. 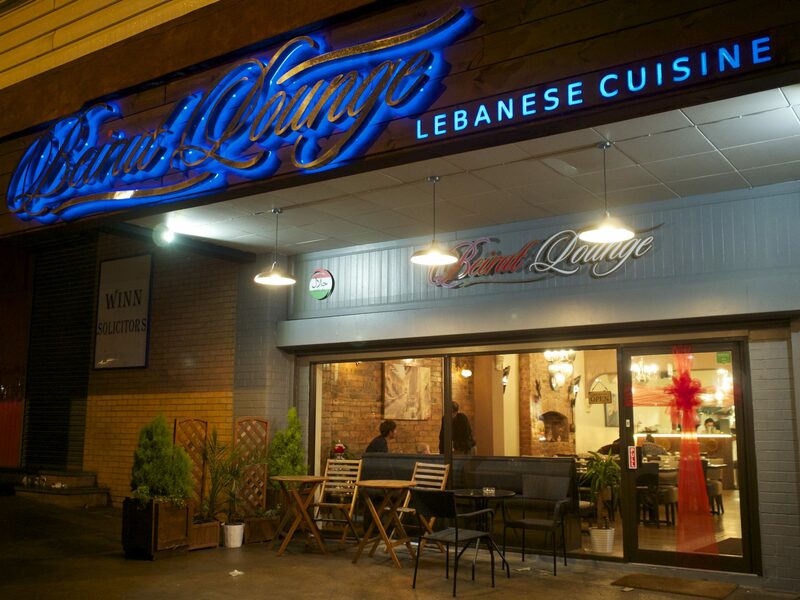 We had been looking forward to checking out Beirut Lounge, having seen lots of delicious looking food on their instagram and noting that they’re currently the #3 restaurant in Newcastle on TripAdvisor. 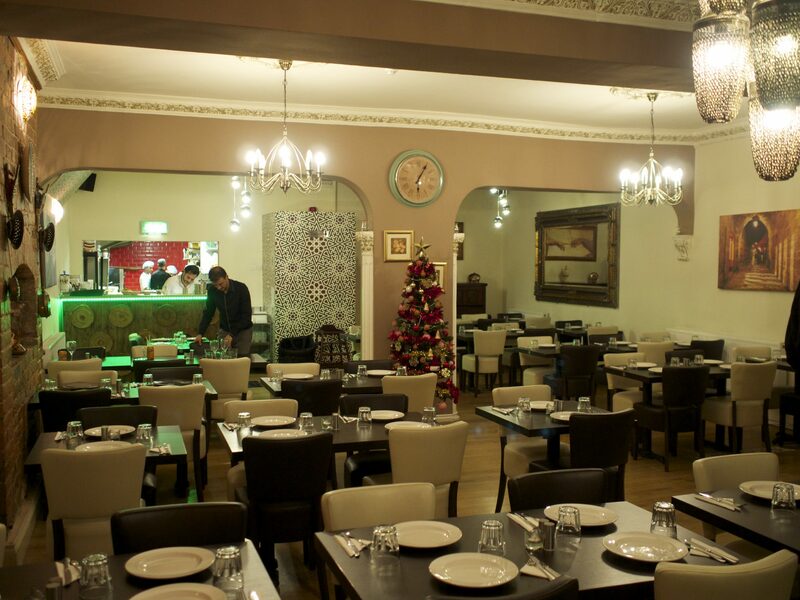 Tucked away in a non-trendy part of Heaton, Beirut Lounge is understated and simple. The brightly lit sign beckons you into the cosy restaurant, which was very quiet on a Wednesday early evening but picking up momentum as we left. Apparently there are queues out the door at the weekend though, so booking is recommended. This is not a place where they rush you through your meal in order to take in more covers, as our attentive waiter Reda was telling us. As soon as you’re seated they bring you chilled water and olives, which is always a good sign. They also brought a menu which was filled with Lebanese delights, lots of mezze, grilled meats and fish, pastries and stews. 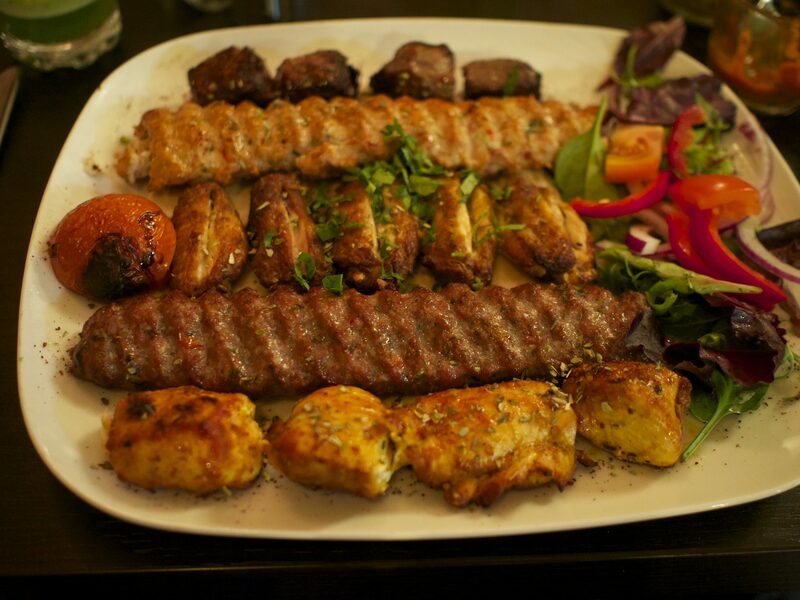 Evoking nostalgia to the Mr’s favourite Turkish restaurant, he was keen to try their mixed grill as it’s his favourite dish in Ottoman. He was intrigued to see what the Lebanese take on it was. The restaurant doesn’t serve alcohol but you’re welcome to bring your own. 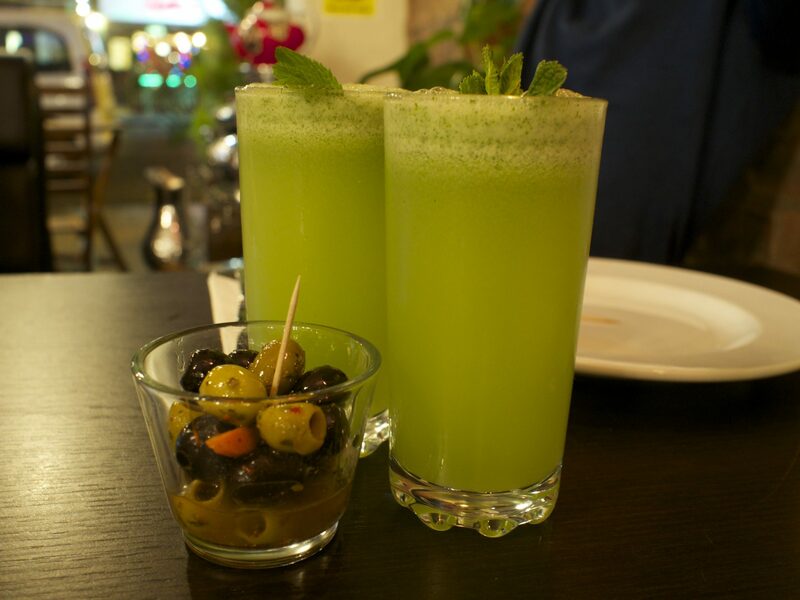 We settled on a couple of homemade mint lemonades (£2.40), which were promptly whizzed up by Reda and were delicious – not too sweet, with lots of lemon. It was refreshing, really quite tart and not ‘dumbed down’ for the British palate. Little Dude took an instant shine to Reda, who was absolutely great with him. When LD clearly loved the olives Reda brought him his own bowl. When LD wanted some of our lemonade Reda brought him some freshly squeezed orange juice. 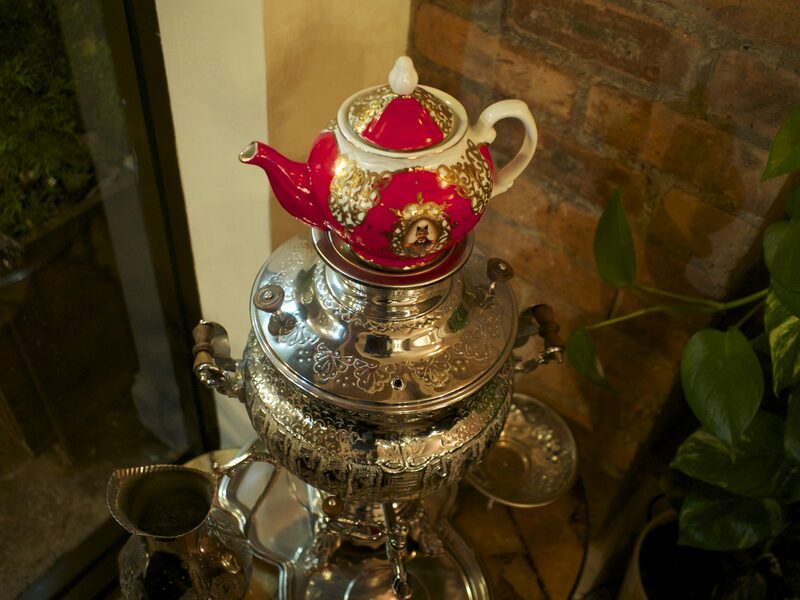 This is service at it’s very best, and Reda is restaurant gold. 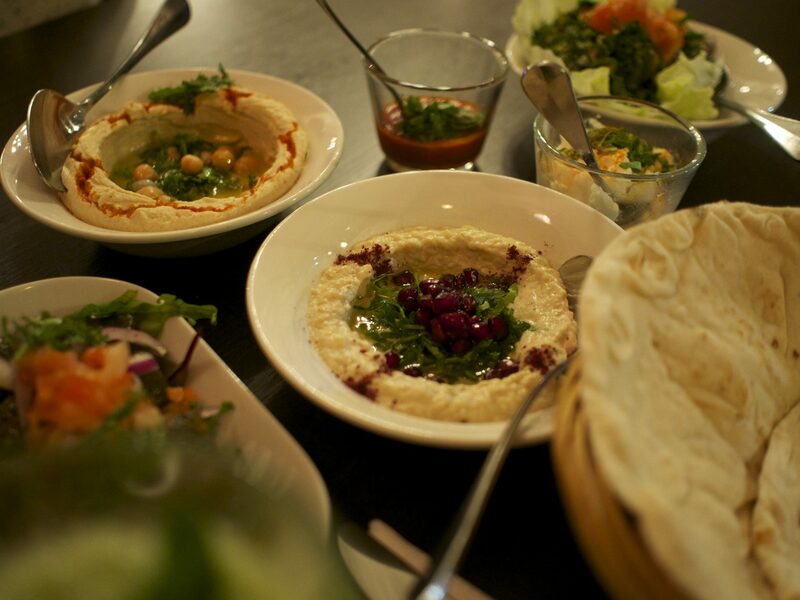 We selected hummus (£3.80), Baba ganouj – grilled aubergine puree mixed with tahini & lemon juice (£3.90), Warakinab B’zet – vine leaves filled with rice, tomato, parsley, onion cooked with lemon juice & olive oil (£3.90) and Tabbouleh salad – parsley, tomato, mint, onion, lemon & olive oil (£3.90) to share for starters. 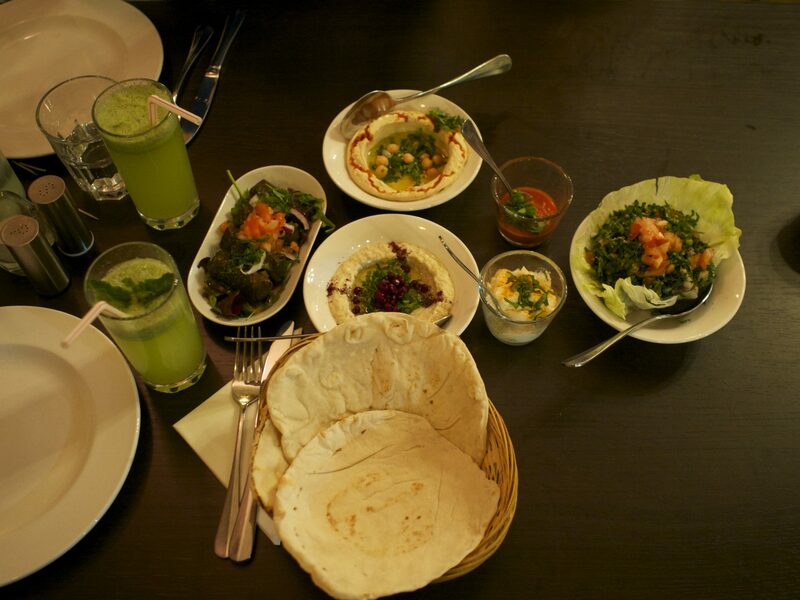 They don’t have a children’s menu but advise doing things ‘the Lebanese way’ and sharing so we did (although if you wanted something specific I’m sure they’d be happy to oblige). The food was brought over with a few extras as well, including one really intriguing dip that tasted like a whipped cheese. Reda told us it was a traditional Lebanese garlic sauce, a complicated and delicate process involving whipping olive oil, garlic and citric acid over ice until it resembles a whipped mousse. Any missed timings and the dish is spoiled, apparently. It was worth the effort and had such a unique taste. The humous was delicious, a bit sweeter and smoother than we’re used to. The baba ganoush was incredible, tasting of smoky roasted aubergine and so creamy, perfect for dipping the warm Lebanese bread in. The vine leaves were also good; they came with a spicy dip and the garlic sauce which complimented them perfectly. The tabbouleh was as it should be, with plenty of flat leaf parsley and the right proportion of dressing providing the perfect balance. We had to stop ourselves from eating everything so we would have room for our main courses, which was difficult as it was all so tasty. LD wanted to go and see his new buddy Reda, so we let him have a run around which was encouraged by the friendly staff. They have a piano in the corner of the restaurant that LD had a good go at, accompanied by Reda. Apparently lots of customers play it including surgeons from the local Freeman hospital, who obviously know a good thing and frequently visit Beirut Lounge. Our main courses arrived looking incredible. 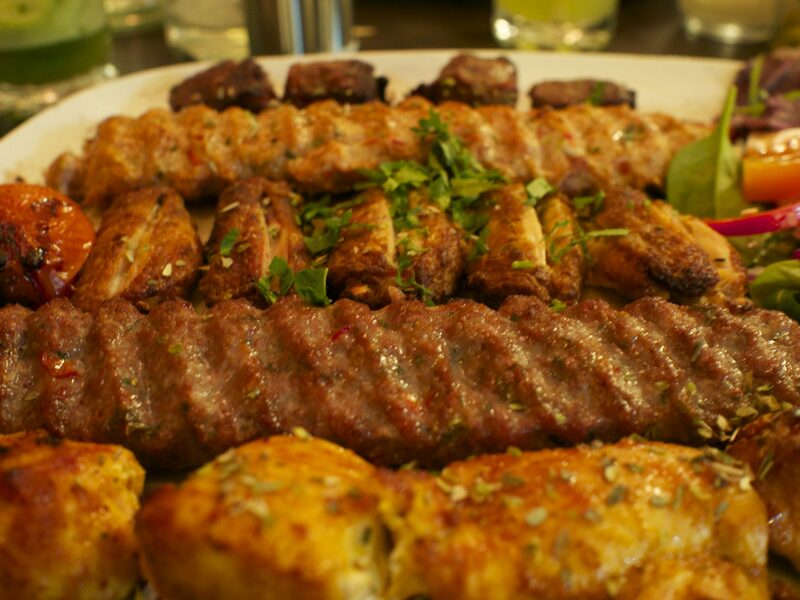 The Mr went for the Beirut Mixed Grill – selection of lamb, chicken cubes, minced lamb, minced chicken & chicken wings (£15). 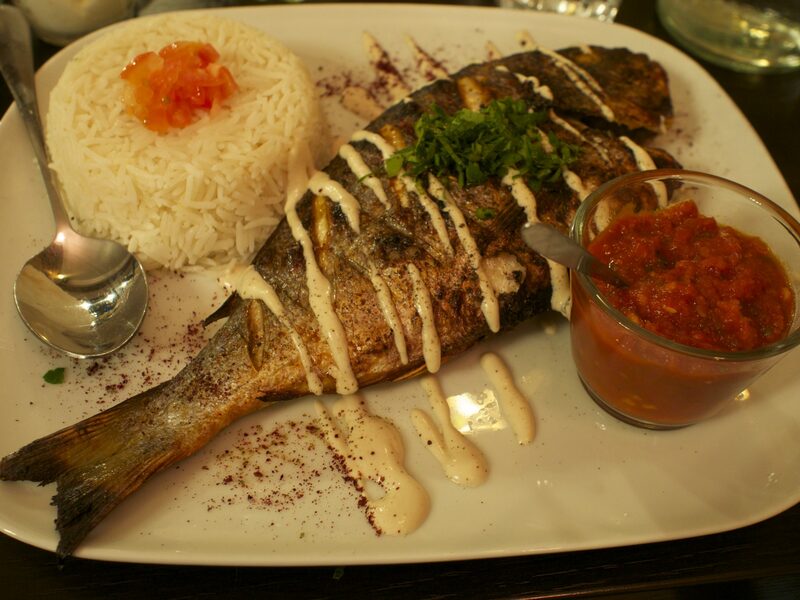 I went for Sea Bass – fresh seasoned sea bass grilled served with tahini sauce, french fries or rice (£13). LD was given bits of our dishes, and lots of rice, which he loves. There is the option to have most dishes with rice or chips. My fish was served whole and was grilled perfectly, with a flavoursome crispy skin it was cooked just long enough to be succulent but not dry. The tomato sauce it came with along with the rice was the ideal accompaniment as well as the tahini drizzled over the top. It had lots of flavours with none of them overpowering the others, letting the fish do the talking. The Mr set about demolishing his mixed grill, which had a variety of flavours and textures going on. Lots of delicious seasoning, tender meat and a nice grilled flavour. Although he really enjoyed it wasn’t quite as good as the one at Ottoman, but I reminded him that he was comparing Turkish with Lebanese food, not like for like. They offer to give you anything you can’t finish to take away, which is fantastic – more restaurants should follow their lead. We have only been to this and one other recently who offered to give us doggy bags. LD had finished and had another run around, this time checking out their Christmas tree. Reda gave him a bauble to take home and put on our tree, which was such a lovely thing to do. Finishing our meal Reda asked us if we wanted to try some Lebanese tea. We were too full for dessert so a cup of tea sounded like a good idea. 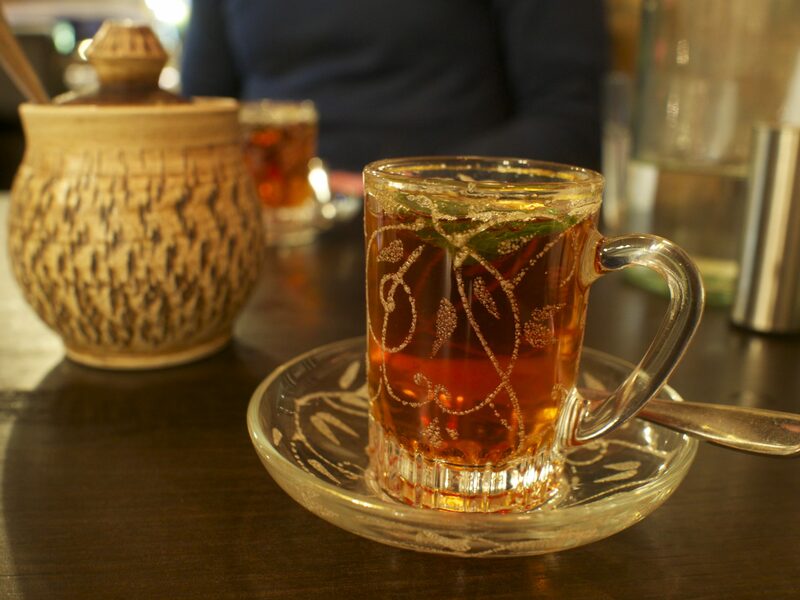 The tea was serviced in espresso-sized glass cups with fresh mint. It tasted like black tea with cardamom and mint, and adding a little sugar took the edge off. Really delicious, we’ve had similar in Morocco but this seemed less sweet and more subtly flavoured. We reluctantly left, with LD giving Reda a big hug and a high five as we went. It was such a pleasant experience from start to finish and we could see why they had climbed so high on Trip Advisor. Conversely I was in a well known chain restaurant the following evening for a work Christmas meal and the food was poor quality, rubbish value for money and we felt like we were being shunted out of there as soon as possible. It was such a contrast to the fantastic experience at Beirut Lounge the night before. Long live the independents!